Are you annoy of your skin problem of large pores, oil skin,moisture loss? 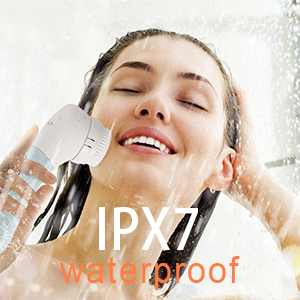 ♥IPX7 waterproof vibrative facial brush for face and body. ♥Two complimentary removable batteries,easy to find the replaceable battery. 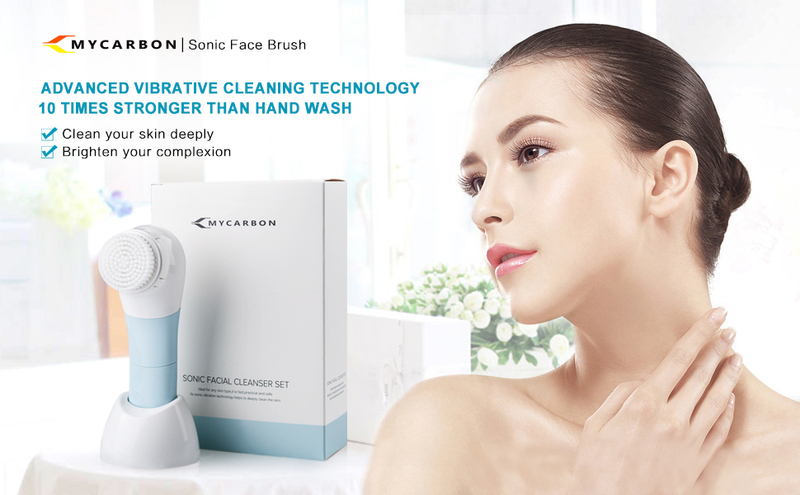 ♥As a SONIC FACIAL BRUSH SET with 5 brush heads,only $29.99,good choice for you. 1.Minimize acne scarring, polish and brighten your skin. 2.Keep skin clear deeply,clear the blackheads and make pores smaller. 3.Reduce the wrinkle by exfoliation and tighten the skin by massage. 4.Massage your skin activating skin elasticity and absorption of nutrition from your beauty cream. 1.Don't press this divice too hard to your skin ,or it may affect the brush head to run normally. 2.Don't use this face brush to remove eye make-up. 3.Please use warm water or soapy water to clean the sponge brush head if it was dyed after removing makeup. 4.Don't do exfoliation every day,we suggest once a week for health skin. 5.Please use the sponge brush for some time if your skin was super sensitive, then you can use the sensitive brush. 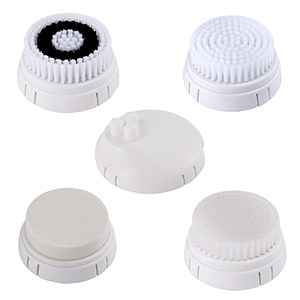 5.We suggest to replace the brush heads after two months using. 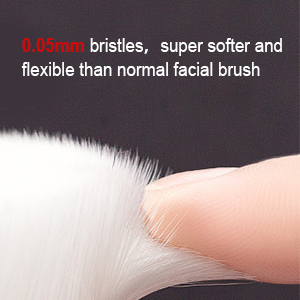 and flexible than normal facial brush. ♥♥ Not only perfect for face but also for body,clean your neck,back,hands and legs. Easy to bring,and perfect for home or travel use,you can take it anywhere conveniently.